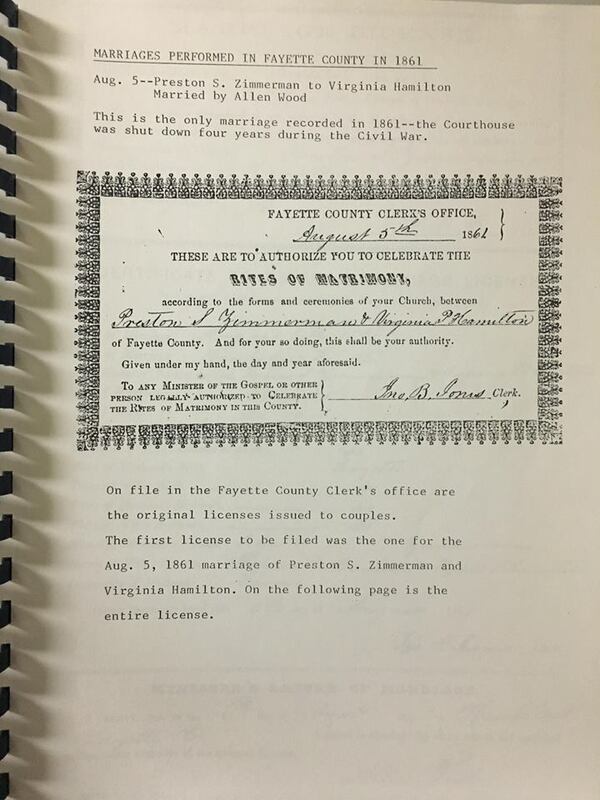 During a visit to the KYOWVA Historical Society’s library, I came across an interesting bit of information while researching their Fayette County records for the Seletyn branch of my tree. I had not realized that the Fayette County Courthouse was closed for four years due to the Civil War. 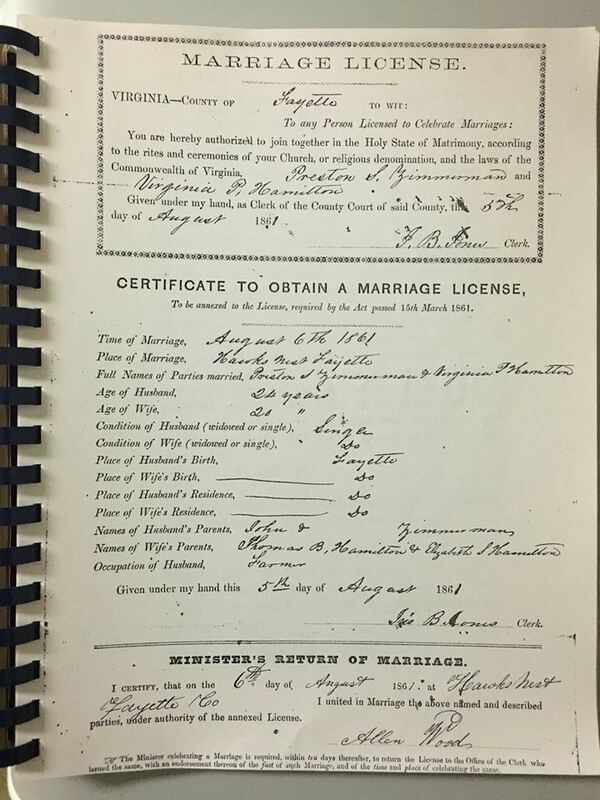 I found three pages chronicling the fact that there were no marriage records for that time. 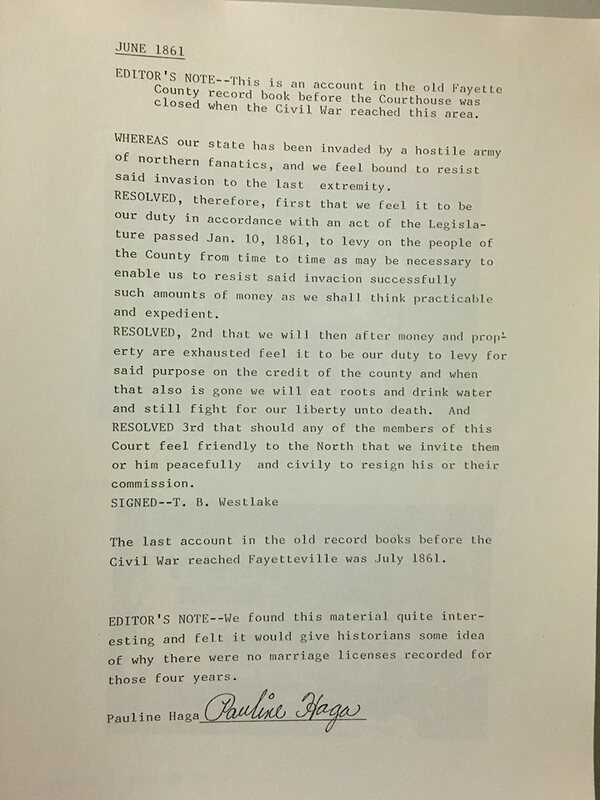 For a little more WV Civil War history that happened in Fayette County, the archives housed at the Capitol in Charleston has a wealth of information both in person and online. One of those links can be found: HERE. On my next trip to the Capitol I hope to research this a little further.